Thanks for bearing with me. I wanted to share with you my latest project. 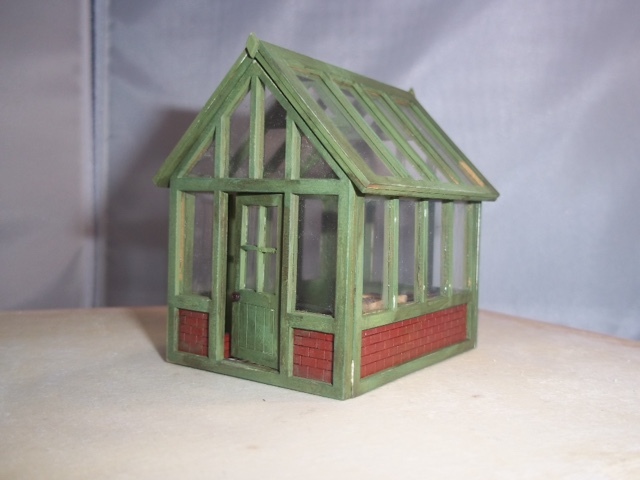 Its from a kit by petite properties. I have made their kits in the past. The reason I like them so much is that they are laser cut so all the pieces fit together exactly. 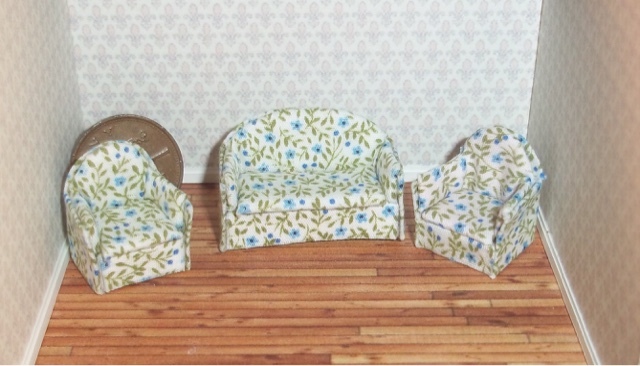 I started by assembling the main body of the house to see how it went together. I kept the pieces in place using masking tape. While the pieces were together I used my pencil to carefully mark where they met so I knew where not to stick any wall paper or flooring paper. I prefer to paper these small kits before assembly as its easier to access. I started with the flooring. I printed some I had found online and stuck it to the floor using a glue stick. Then I flipped it onto the back and cut around the base piece of MDF using a craft knife. At this point I realised I had not left the gaps for sticking I should have so tried to cut them into the parquet paper on the left. I messed it up... doh! So I replace it with some tiled effect paper instead. I chose some wall paper from some scrap booking papers. You can find suitable patterns in the 6x6 scrapbook paper books. 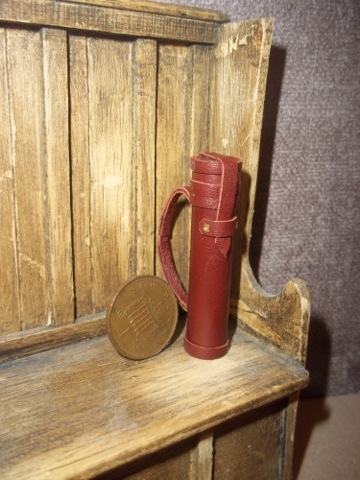 I used them to cover the interior of the left porch side of the cottage. I did it the same way as I did the flooring. The largest wall needed covering on both sides. I started to assemble the left side of the cottage using clamps and Lego to ensure it stayed square. I thought I would share with you my latest mini make. It is a 1/48 scale greenhouse I made from a kit by petite properties. I added my own plant racking on the right of the door and made the seed trays from a kit by Jane harrop. It was a really simple kit to make up and lots of fun. I decided to make it look a bit run down, mainly after smudging glue on the windows, so dirtied my initial paint job up a bit. If any of you have any tips or links for making 1/48 plants or accessories please let me know. Just a quick update in case you were wondering whats going on with my blog. While looking through my old posts I discovered that I had lost a LOT of my photographs. I think it coincides with me using the blogpress app to write my posts. I don't use this anymore and couldn't recover my files as the app support site was a nonsense!! Anyway I have found SOME of my photographs so have put back what I could and edited/removed the parts I could not. I'm really sorry to anyone who comes looking for a project as I know I get a lot of pinterest traffic. I will try my best to redo them and re-post them. I thought I would share with you my latest project. 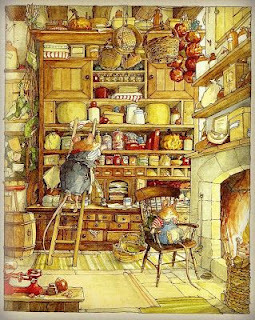 I saw this great picture online from the Brambly hedge series of books and loved the over sized dresser. I had a dresser which had lost its doors, sorry but I didn't take a photo of it before I started to take it apart. I must remember to do that in the future. I used 2mm card stock to build up the height and used a lot of the original shelves as well as building in some more of my own. 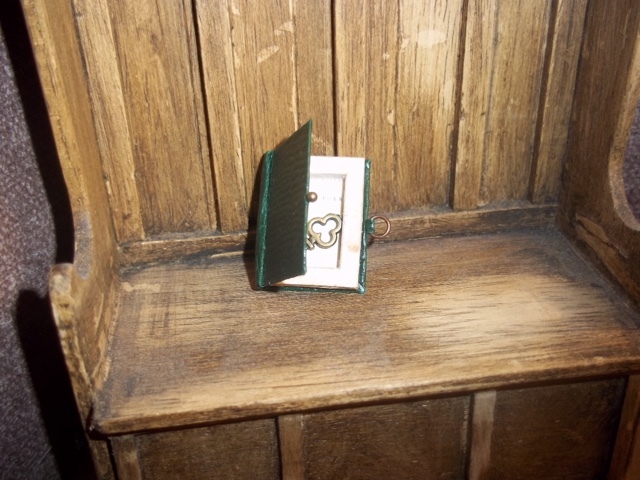 I painted it in matt ivory emulsion to match my previous shabby display cupboard and used the same pins as door knobs. All of the drawers were made by me and all open. I found a great online tutorial by Lesley Shepherd for making a mouse which was really easy to follow. 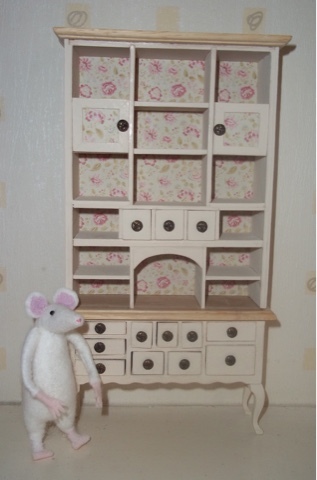 I hope to add more to the dresser and mouse. 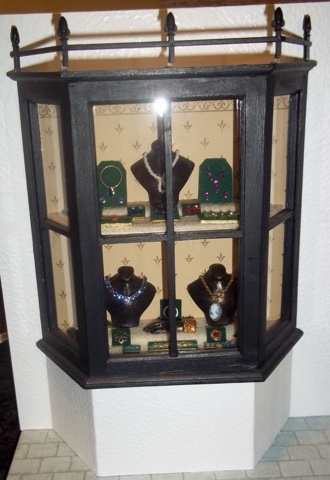 It struck me that I had not shown you all the jewellery shop display I made for a club project. I think it was because I struggled to take a decent picture of it, but as I have one now here goes. I wanted to share with you our club night project from last month. We were taught to make this adorable miniature Red Riding opening book. 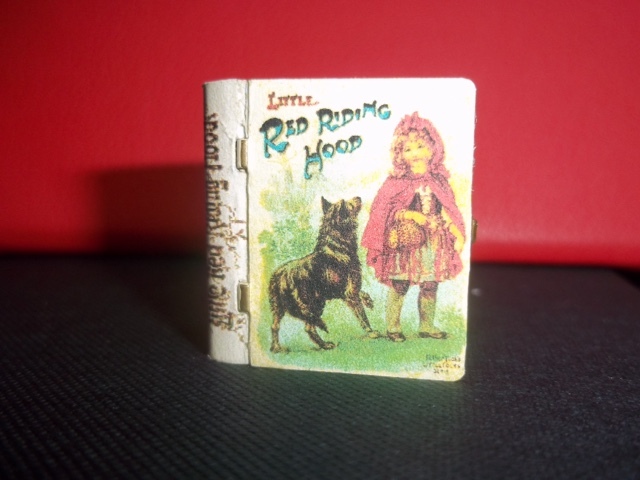 The book is made from a metal book box you can buy from teepee crafts. We were given the print outs to cover our book boxes with. If you open up the book inside is a tiny scene with a teeny tiny mouse dressed as red riding hood. The mouse is made from a cocktail stick believe it or not with flock for fur and dressed in paper clothes. Overall it was a really challenging project with lots of intricate work but I love how it has turned out. Next month at club it is my turn to teach the project. 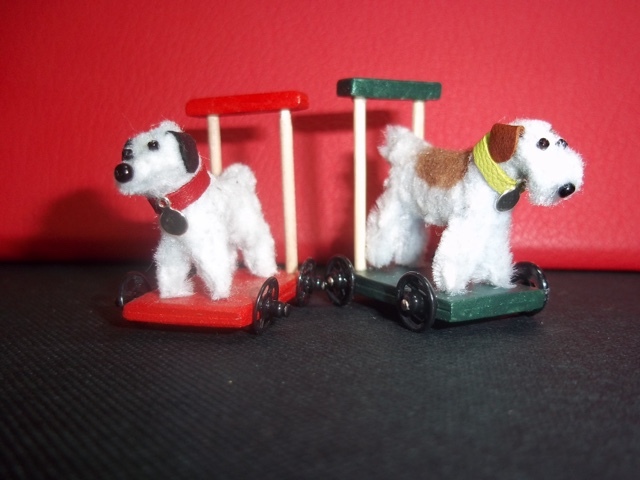 We will be making a push along toy dog like the one shown below. 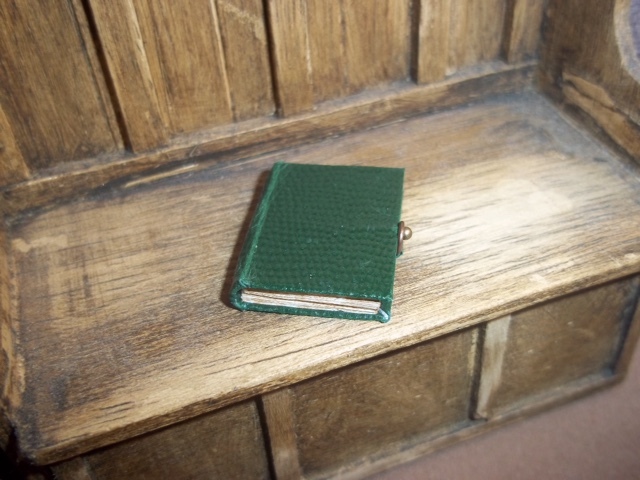 Hope you like my mini book. I hope to put on instructions for making the push along dogs. Just need to take a couple more pictures. Its been a long time since my last post. I can only apologise for that and say I was really busy with work. I'm on my Summer holidays from work now so finally have some time to post and make minis. I have even listed some minis on eBay. Something I have been meaning to do for forever. Here a just a few of them. If you are interested search for user cherryv33. I hope to share with you some of the minis I have been making for myself and a project or two. Off to make some now as it happens. I thought I would share with you my latest mini make. 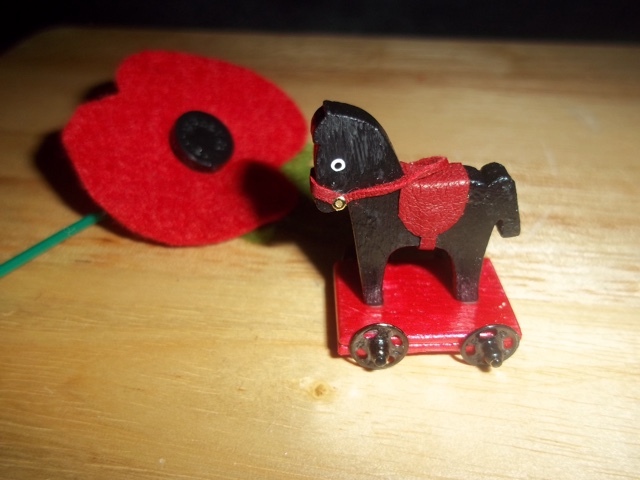 It is a 1/12 scale toy horse on wheels. 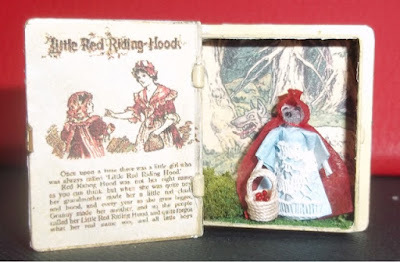 Please let me know if you would like to know how to make it and I will post a tutorial. 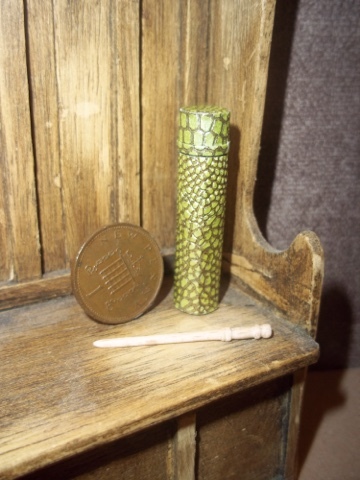 Just thought I'd share win you some bits and pieces I have listed on eBay.